Ombré hair shows no signs of slowing down. And there are very few rules involved. All this trendy style requires is one hair color at the roots that eventually becomes a different shade at the ends. Bookmark one of these gorgeous ideas to take to your next salon appointment! Soft ombré, or "sombré," shades makes your hair look more dynamic, yet it's still subtle enough that the maintenance is minimal. Growing out a long bob? Add some lighter shades to the bottom to keep your cut from looking "blah" like Natalie Morales did here. Julia Roberts just debuted an update to her blonde hair. She kept it the same at the top, but her gold roots eventually become strands with a glimmer of rose gold. It's bold and unique, but subtle enough for any atmosphere, occasion, or age. Take advantage of two big trends at once: long bobs and ombré color. 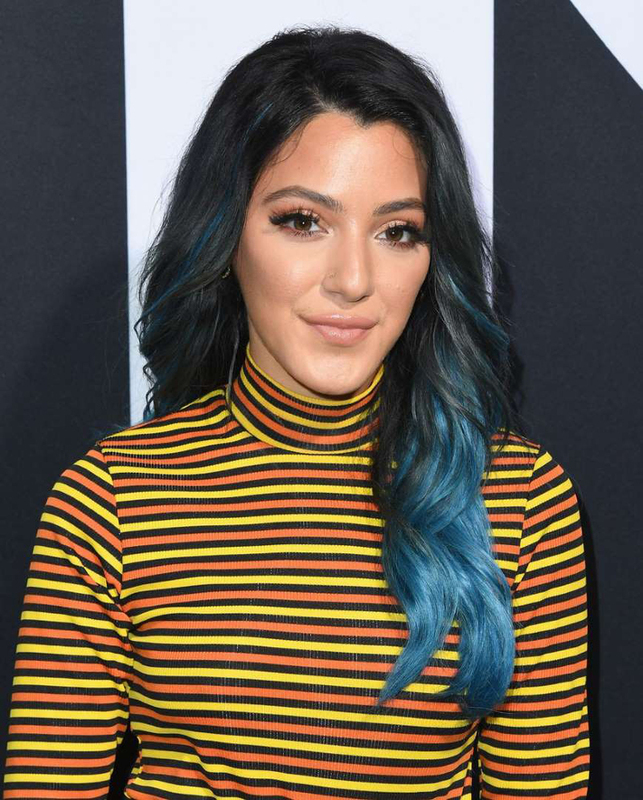 A fun take on the colombré trend, this black-and-blue style is great for medium-length hair. 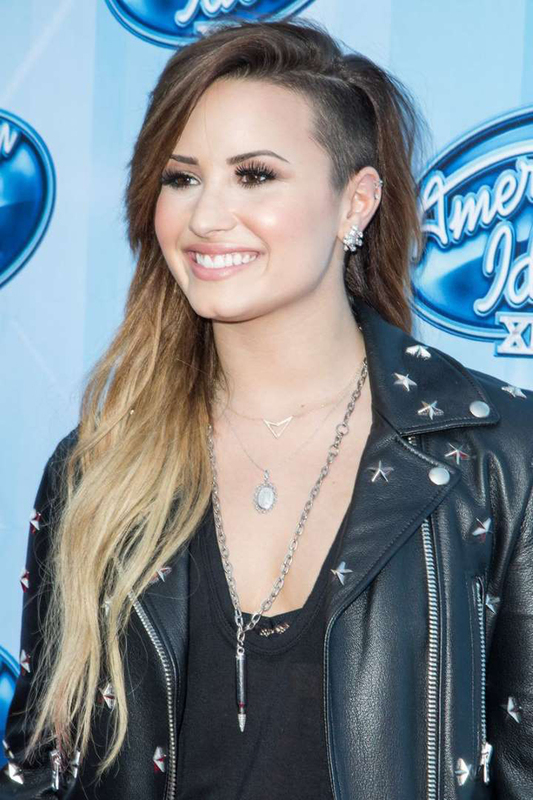 All you need to recreate this look is semi-permanent hair color cream in the color of your choice. 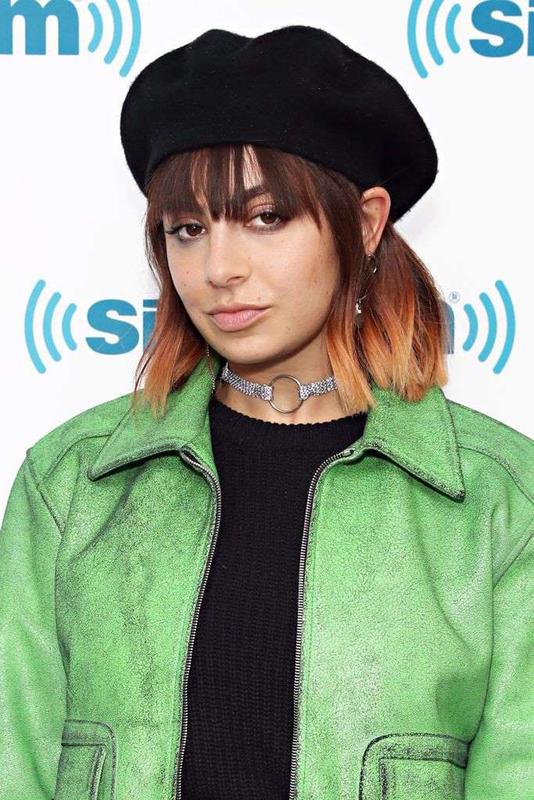 There are so many colors subtly woven into Charli XCX's shoulder-length bob. Her reddish brown base ultimately transitions into a light orange. 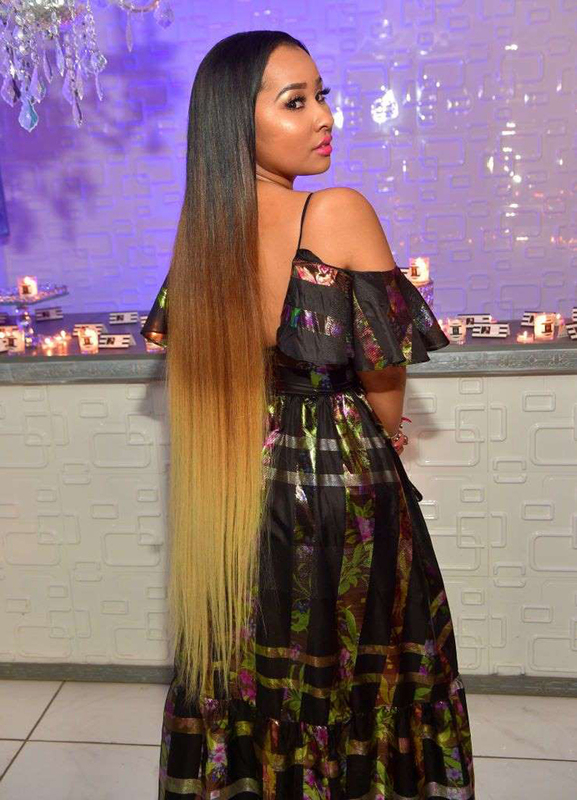 Tammy Rivera's almost-floor-length hair goes from dark brown at the root to blonde. From start to finish, there are at least three classic hair colors, making it fun and dramatic. Mandy Moore has the perfect ombré for anyone who's nervous about making a big change - just a little seamlessly transitioned lightness on the last inch or so creates that gorgeous ombré look without bleaching most of the hair. 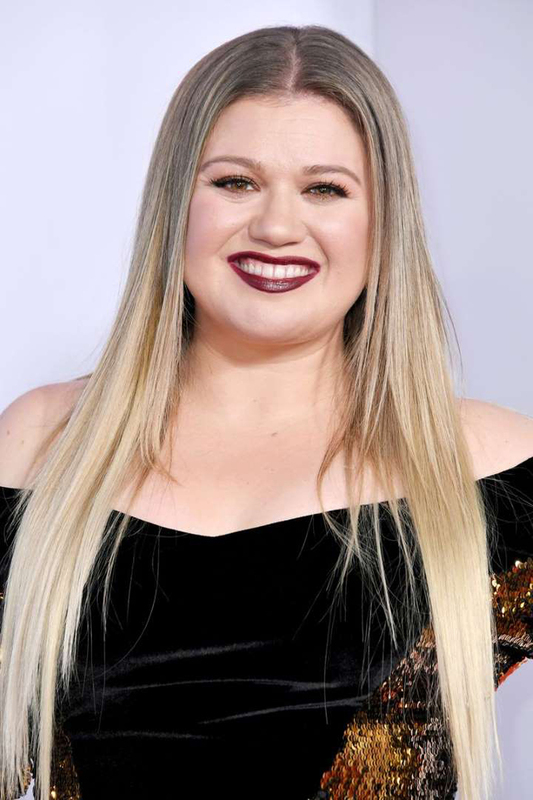 Kelly Clarkson's hair starts out as a cool dirty blonde for the first few inches, but then goes on seemingly forever in a beautiful shade of a much lighter blonde. 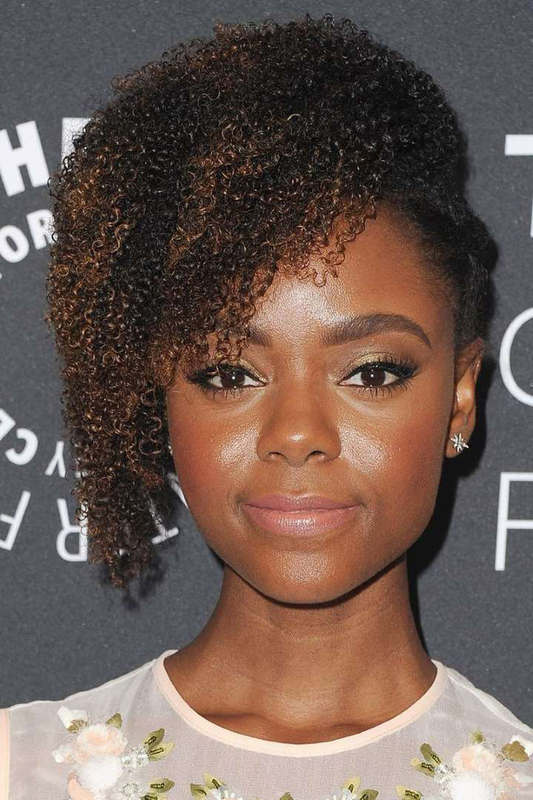 Ashleigh Murray's cute curls are naturally a deep, dark brown, and the warm, almost-auburn shade added to the mid-length and ends adds dimension and definition to her style. The ombré effect doesn't have to cover your whole head. Laura Marano's chic, wavy lob is topped off with just a touch of transitional color on a few select pieces. That gorgeous warmth running from the darkest to lightest shade in Chrissy Teigen's hair is due to an almost indiscernibly peachy tone that gives it a rose gold aura. Get this icy blonde lob by asking your stylist to transition your dark hair into cool, pale shades towards the bottom and around your face. If you're not ready for full-on blonde tips, Sofia Vergara's medium-brown roots and bangs transition to a slightly lighter medium-brown length and ends offer a more timeless interpretation. Gradience doesn't have to be only vertical. Zendaya's curly version of ombré is a transition from dark brown to a chestnut shade framing her face. Red works too! The colors of Bella Thorne's super-long ponytail resemble that of a flame, going from a vibrant orangey-red to a pale-yellow blonde. Instead of the entire length of Joan Smalls' hair transitioning to a lighter shade, only a portion of it mixed into the middle lightens up. 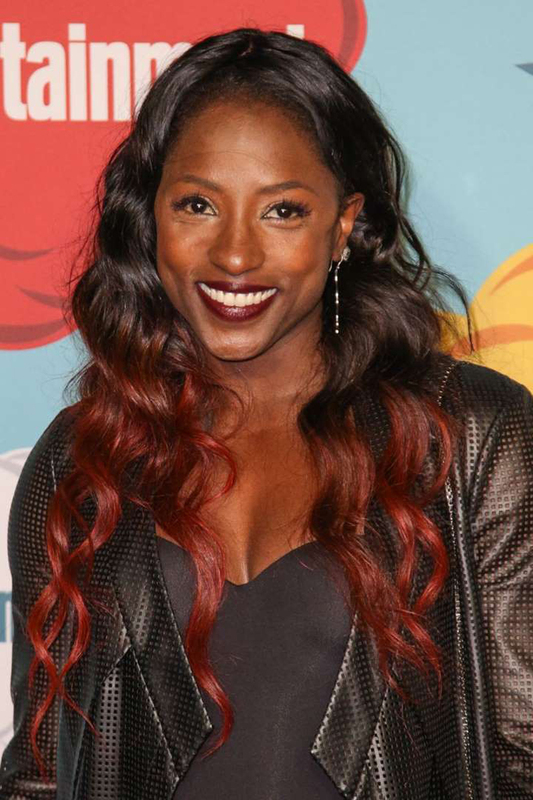 If you have a warmer complexion, ask your stylist to progress a pecan brown shade into soft reddish caramel colors. While super subtle, this ombré is a great way to amp up a simple wavy bob. With lighter shades starting around eye-level, it beautifully accentuates the cheekbones. The best thing about ombré hair? It allows you to seamlessly combine two gorgeous shades so you don't have to decide on just one - and this is one of the most classic combinations. Have really long hair? Try mixing natural and fantasy shades with that lengthy canvas of yours. The faded pink shown here is an unexpected interruption between brown and blonde, creating an almost Neapolitan look. For those with a penchant for wilder shades, you could go with a softly transitioned black-to-plum ombré look, also known as colombré. Rather than transitioning your hair to lighter shades exclusively at the bottom, you can also add a few face-framing babylights to bring your whole style together. Add volume to a shaggy bob by asking your stylist to pop some lighter hues starting at the eye line. This beautiful colombré dye job, going from a vibrant red to a faded peach, works great on longer hair. A brunette can transition into more than just blonde shades - you can also progress into a stunning ruby hue, for a look that's both deep and bright. While many people opt to subtly transition their color with highlights and lowlights, you can also as for more opaque shades with less variation. For the unconventional color fans, there are countless combinations of wild shades to work with. 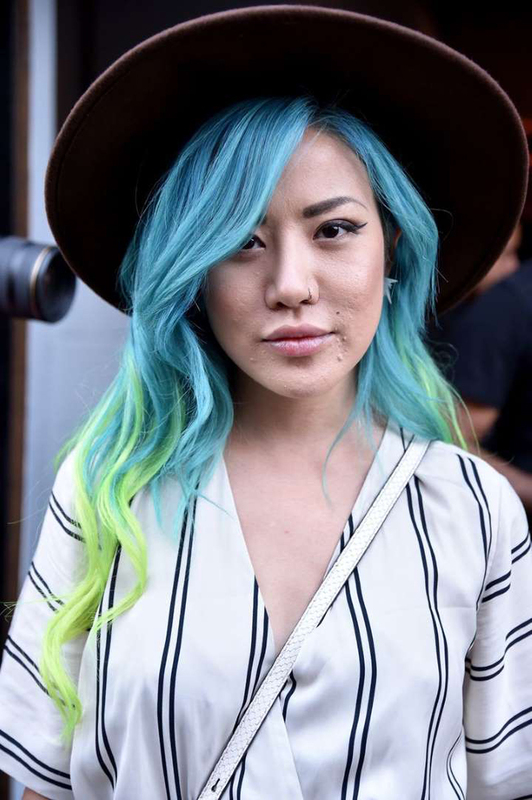 One of the coolest out there is this stunning lime and aqua ombré look. From dark brown to a pale platinum, this dramatic ombré is not for the faint of heart. 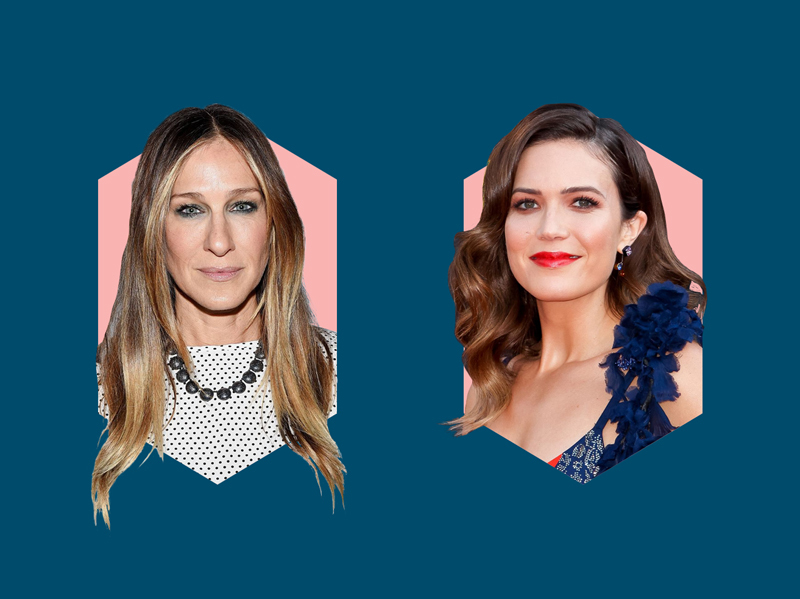 Who says short-haired women can't wear ombré? 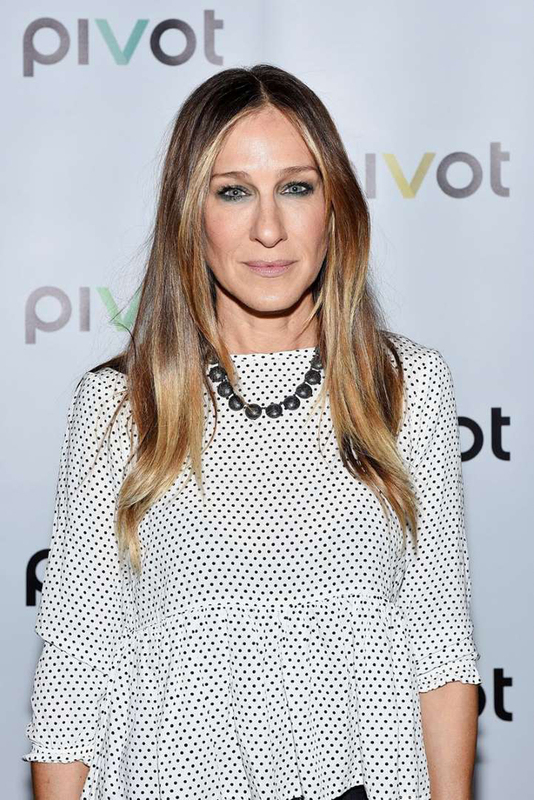 Get this look by asking your stylist to add highlights throughout your hair, getting lighter towards the tips. Update a more natural color color by adding a hot pink shade to the bottom three inches. Transition from a cool shade of brown to a warmer honey blonde shade to combine two "temperatures" of color. Warm, all-over honey shades keep this lob's ombré effect a little more subtle, but keeping the roots dark makes it a low-maintenance, high-impact look. Not all ombré hair has to start transitioning towards to ends - you can also get the party started more quickly by keeping just the first few inches of your roots brown, then heading into a honey blonde shade. This ombré look is so subtle, you may not even notice it, but it nevertheless adds flare and warmth to her whole look. Shorter hair can make ombré look more dramatic because the transition is condensed into a smaller space. You can start the transition higher up by hinting at the lighter color with sparser highlights. For lovers of cool tones, a deep smoky brown that transitions into an icy blonde offers a striking effect.